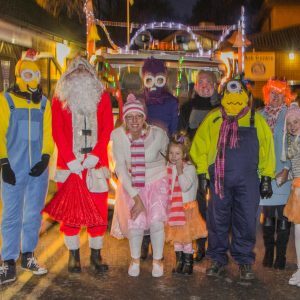 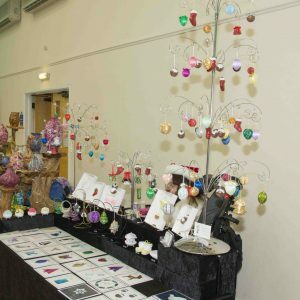 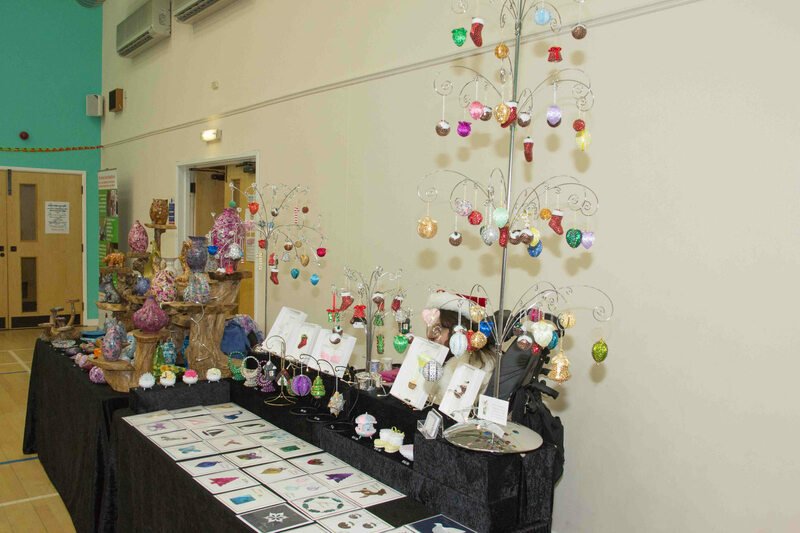 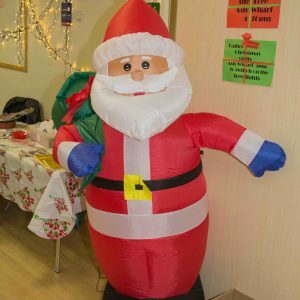 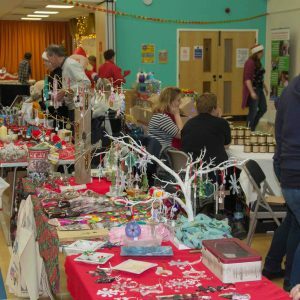 Christmas Fantasia 2015 took place on Saturday 28th November, at the Ash Centre and also on Ash Wharf. 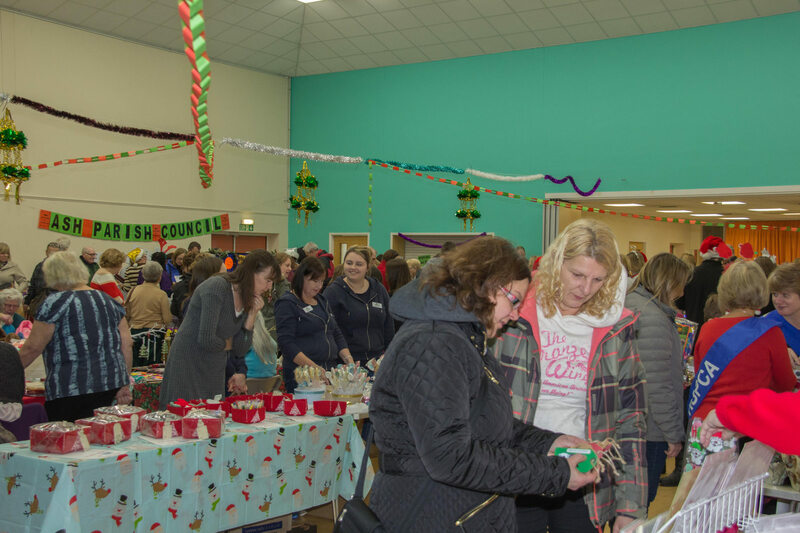 The event was once again supported by many local businesses and organisations. 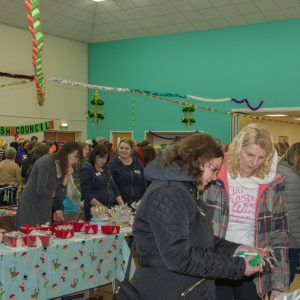 Inside the Ash Centre, visitors enjoyed stalls and attractions including children’s games, organised by Ash Grange Childrens Centre, tombolas, raffles, and a design your own Christmas Card stall manned by members of Churches Together. 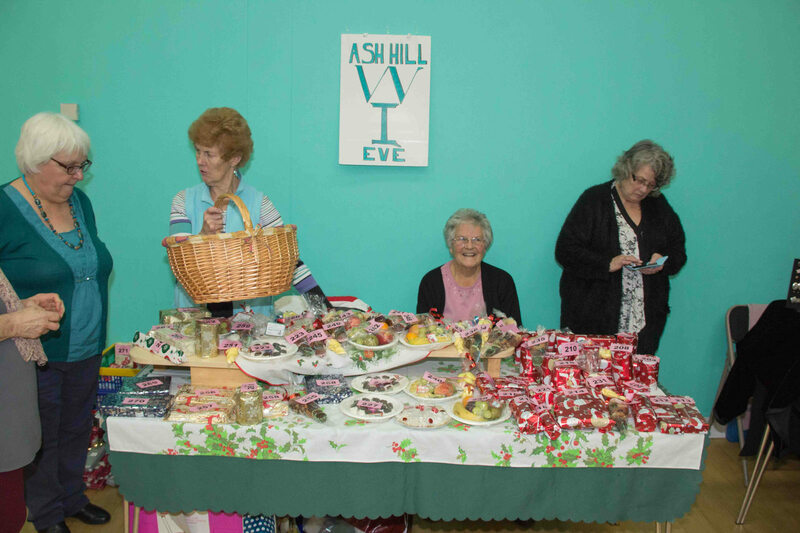 Ash & District Museum Society had a special display of old photographs of Ash in bygone days. 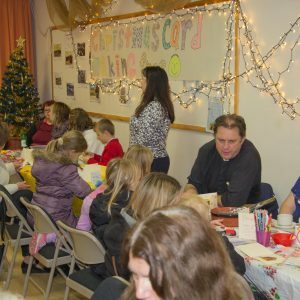 Ash Parish Council ran two tombolas a raffle and a name the Teddy Bear competition again this year. 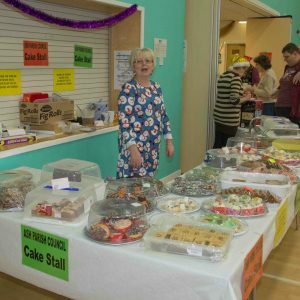 Parish Councillors again ran the usual cake stall. 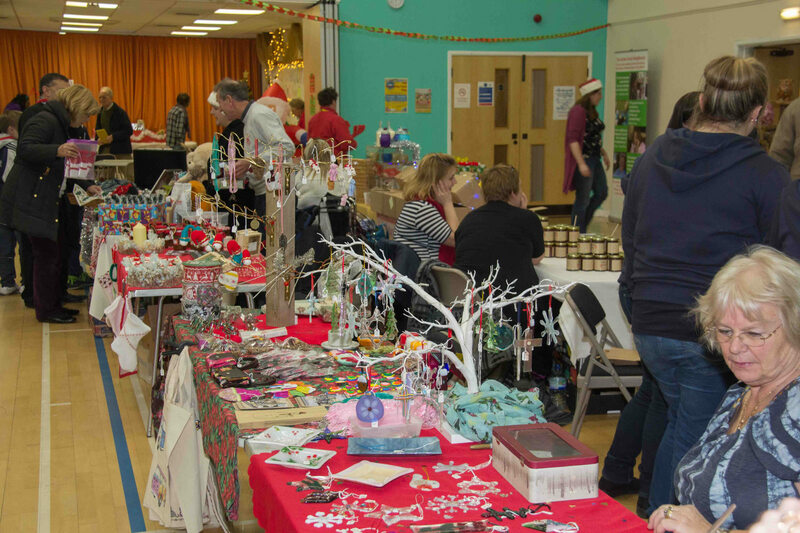 The event raised approximatley £950 which will be donated to local charities. 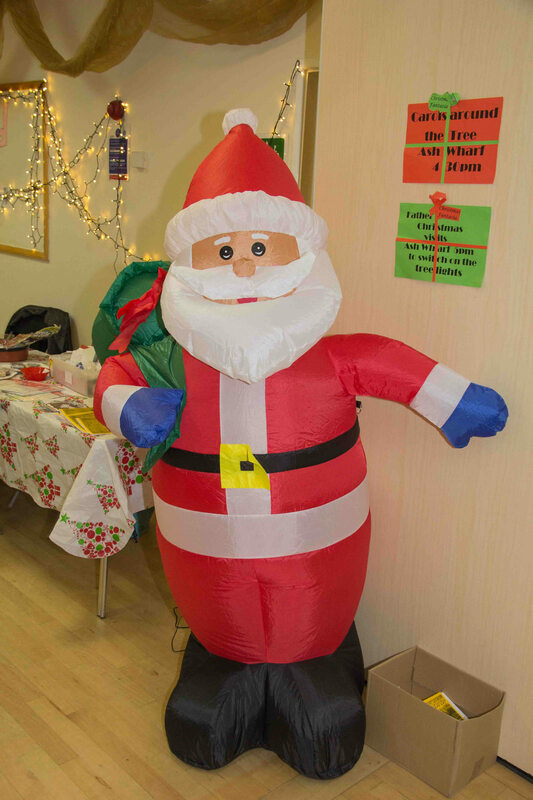 Ash Parish Council would like to give a huge big thank you to all the residents, local businesses and organisations who kindly donated the various prizes. 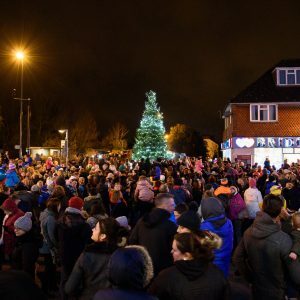 As daylight faded, a large crowd gathered on Ash Wharf, where Councillor Nigel Manning, accompanied by the Ash Vale Ensemble and the choirs of St. Peter’s and St. Mary’s Churches led carol singing around the Christmas tree. 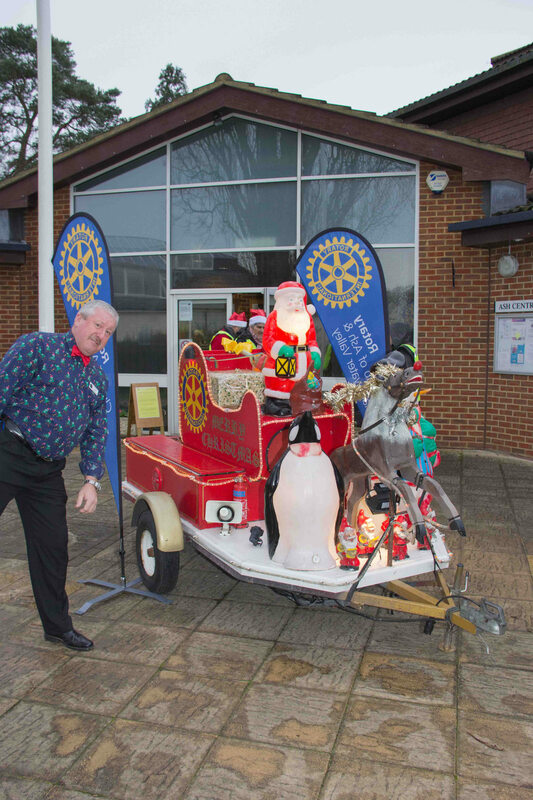 Snow was provided by a snow machine which also added to the festive atmosphere. 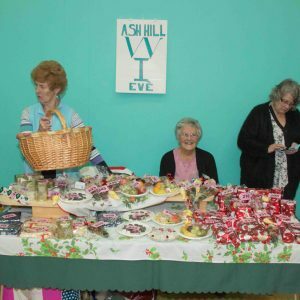 The Ash Vale Ensemble, returned again this year to accompany the singing, consisting of former members of the 1st Ash Vale Scout Band, conducted by Len Scott. 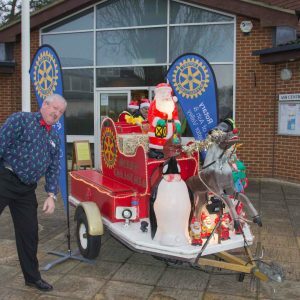 Just before 5.00pm Father Christmas, arrived by sleigh “pulled ” by Rudolph the Red Nosed Reindeer, to switch on the Christmas tree lights. 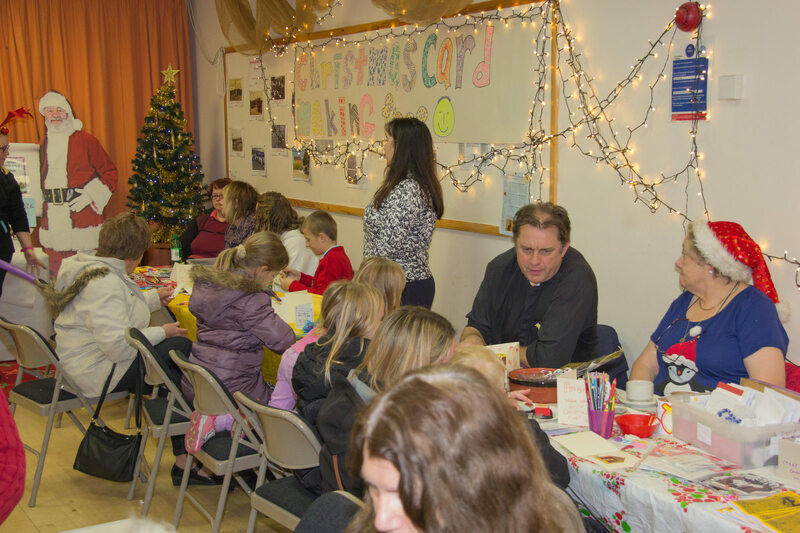 During his journey from the sleigh to the tree he distributed sweets to the children that had gathered around the tree. 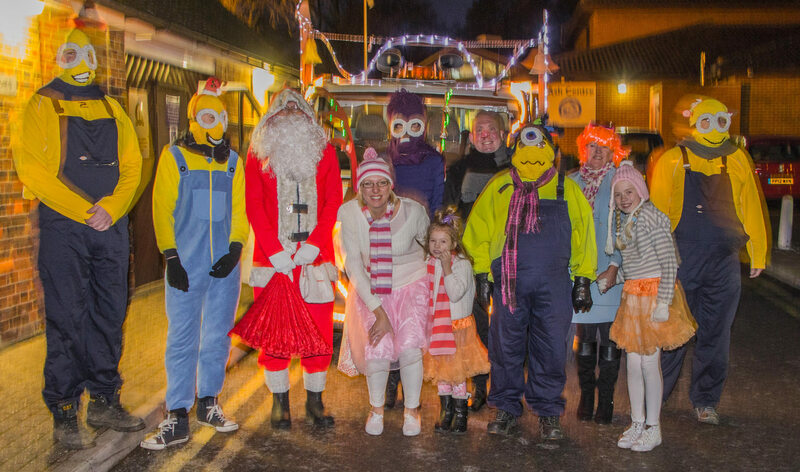 He was accompanied on his journey by various characters from the “Despicable Me” films. 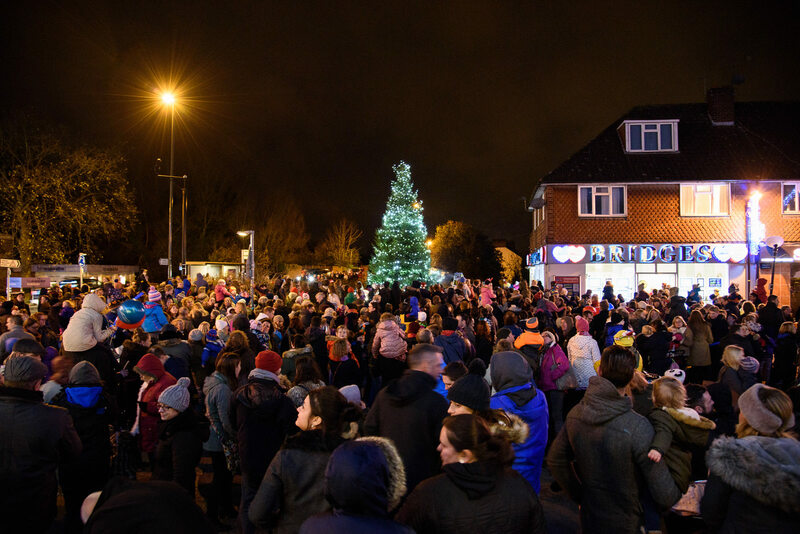 After the light switching on ceremony every one was invited to return to the the Ash Centre for mince pies and mulled wine, kindly supplied for the last time by Mike Duffy from Duffy’s Budgens. 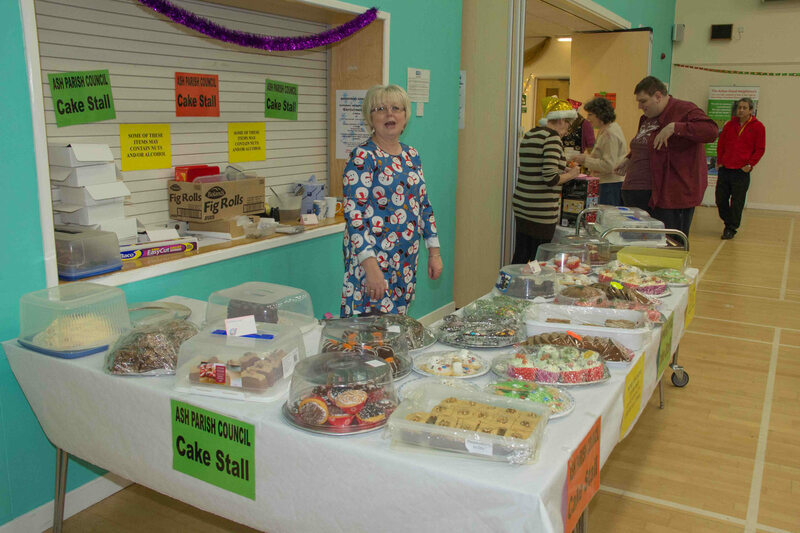 The Mothers Union of St. Peter’s church provided tea, coffee and biscuits throughout the afternoon. 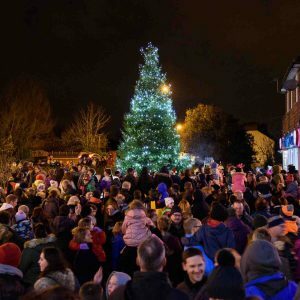 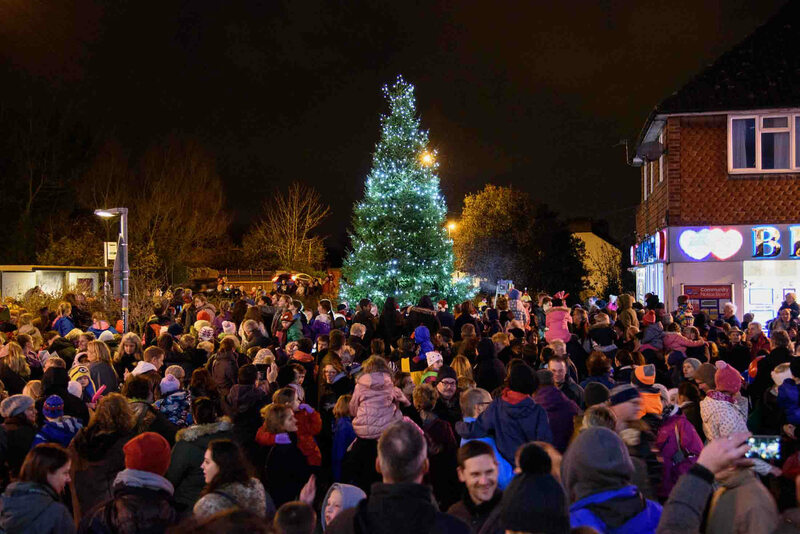 Ash Parish Council would also especially like to thank Bridges Estate Agents for providing the electricity to light the Tree Lights throughout the festive season.